Why and How Are Drill Presses Measured Before Using for a Job? Drill press is one of the most important tool for metal and woodworking. It works abiding by a particular mechanism and can be used for a number of purposes that improves the overall results of your work. However, before using these drill presses for any job, they have to be properly measured. The question this article seeks to answer is ‘how are drill presses measured?’ To answer this, you have to first know why you need to measure these drill presses. When you are able to measure drill presses, you are able to achieve more precise results. You will also be able to know which drill press is best for the particular job to be done. Does Size Matter for a Drill Press? 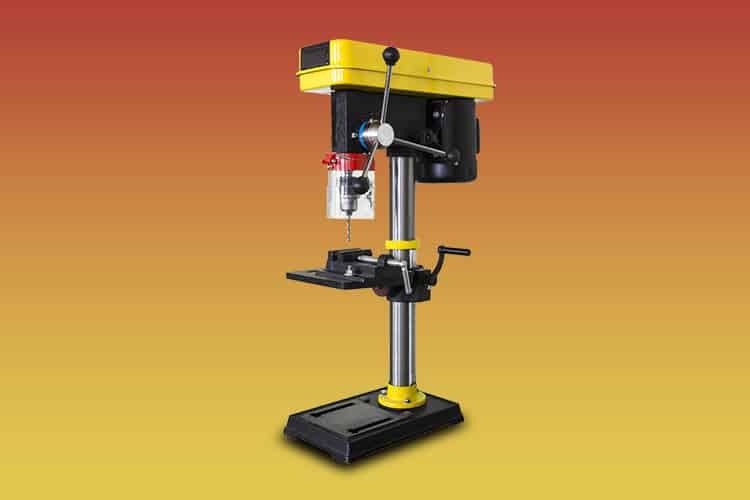 It helps you to know what drill press is best for the particular job. Every woodworking job requires different tools and different drill press. A small and less demanding task does not require the use of the same drill press size as does a large and more rigorous task will be required. It enhances work precision and accuracy. When you have the right measurement, you will know when to do what. With the appropriate size of a drill press gotten, precision is certain when drilling. You will also be more accurate than you will have been if you do not measure the drill press. It helps you to know the size of the stock it is able to drill. As a woodworker, you should be able to know on sight the size a drill press is able to drill. This can only be achieved if you know the accurate measurement of the drill press to be used. Measuring the drill press is very easy if you know what is to be done, the materials needed and do it. Certain components have to be considered when measuring your drill press. Before we look at these components, it is important to note that drill presses are of various types. Every manufacturer comes with a different drill press types with different components and functions. You should have an understanding of each of these drill presses and its components for proper measurements. Regardless of the different types and sizes of drill presses, the mechanical size and chuck size are two major components to be considered when measuring your drill press. A measuring tape will be used to take the size of each components and its functions. It is also very necessary for you to also consider the distance between the working table and drill chuck. You should also consider how long the spindle center is from the support column. All of these components are what is to be considered to get an accurate measurement of the drill press release. How Are Drill Presses Measured? With the need for knowing how to measure a drill press already stated above, let us quickly look at how to conduct drill press measurements. The first and most important step to follow when measuring a drill press is to know the machine size. To do this, you have to know the drill press dimensions by measuring the throat. This process of measuring the distance between the spindle center and the support system is the swing of a drill press. You will have to repeat this process to find the largest circle of the drill press. The second measurement to be taken is that of the chuck size. When you have this measured, you can be able to tell the widest bit the chuck can accommodate per time. Once you have measured both the machine size and chuck size; you need a comprehensive measurement. To get this, you have to read both measurements against the other to find the entire size of the drill press. As much as a professional, a beginner should also pay attention to the size of the drill press. You can achieve a whole lot more when you know how to measure a drill press. Not only will you be able to master the art of measuring drill press, you will be able to make use of this measurement to improve your overall work output. Knowing the measurement of the drill press is not something that should happen while on the project. 7 Different Bench Vice Uses: How to Use a Vice to Its Full Potential?